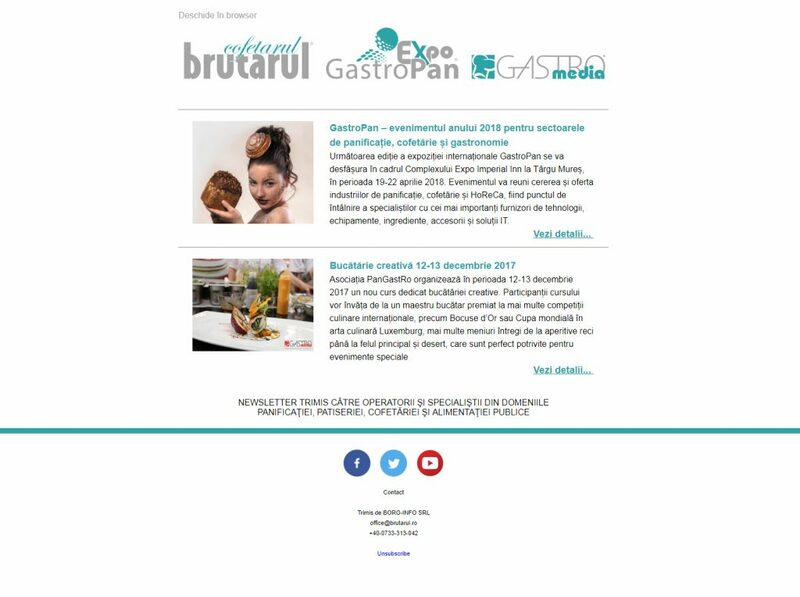 Communication and advertising campaigns that require additional visibility or multiple communication channels to convey a message to the target group can benefit of advertising on the Brutarul-Cofetarul website. The new website offers opportunities to promote companies, products or services of the suppliers in a friendly and accessible manner. The Press Releases [link landing page comunicate de presa] section of the website includes suppliers’ articles about equipment, technology, ingredients, raw materials and services for bakeries, pastry shops or confectioneries, that inform specialists and entrepreneurs operating in these fields about the latest products that were recently launched, the activity or results of the suppliers, financing opportunities or the events organized for them. The Newsletter [link newsletter subscription], sent to a database of more than 20,050 subscribers, is an excellent way to send advertorials or press releases directly to specialists, managers and entrepreneurs who are interested in industry news. In addition to articles sent through the newsletter service, suppliers can also opt for adding an advertising banner in the newsletter with a link to a chosen landing page. The new website of Brutarul-Cofetarul now offers more space for placing advertising banners on the website – banners can be displayed on all pages of the website or just in certain sections. 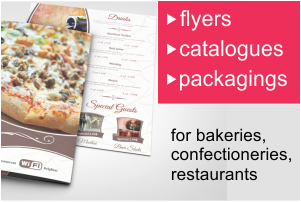 Banners can have different shapes and sizes, with an active link associated to the supplier’s webpage, thus facilitating visitors access to relevant information about products or services promoted. More information can be found in Brutarul-Cofetarul’s Media Kit, along with relevant information about the print magazine and the digital version.